John was born in Dehra Dun, India, 10 March 1943. He recalled his early childhood impressions of living in Calcutta with a Rudyard-Kipling-like magical aura. When India gained independence in 1947, the Fries family, along with most Anglo-Indian’s, felt compelled to leave India. After much discussion they decided to move to Australia and the family settled in the Sydney beach side suburb of Coogee. As fledgling fresh-off-the-boat immigrants, John and his brother explored their unfamiliar neighbourhood with glee, on land and in the water. 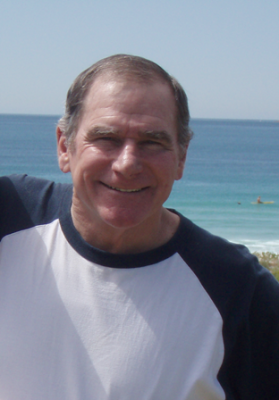 John learnt to swim in the Pacific Ocean at Coogee Beach and Wiley’s Baths – he became a strong swimmer and beach enthusiast for the rest of his life. John attended Coogee Boys Prep School then Sydney Boys High School, where his ambitious nature became apparent in his studies and competitive team sports, especially rugby and rowing. John’s love of physical activities extended to skiing, hiking, kayaking and cycling – even in retirement he was meticulous about recording and besting his own personal times and distances. John began his career in the finance industry as a commercial trainee with BHP, while holding down additional jobs and attending night school at UNSW where he gained an Honours Degree in Commerce. John met his future wife Vivienne when travelling to America in 1970. They subsequently had many adventures together, working and travelling both in the USA and UK, then touring Europe in a green kombi van, affectionately named The Flea – a cherished vehicle despite its numerous breakdowns. In 1974 they returned to Australia, married and had two daughters, Vanessa and Katherine. John and his young family moved back to London in 1984, where John was appointed the International Treasurer for TNT. During their four years in London the family embraced the city’s arts and culture, snowy winters and proximity to Europe – often travelling there for holidays. In 1988, the family moved back to Sydney, where John became Finance Director for MacIlwraith McEacharn. As well as focusing on his career, John encouraged Vivienne’s interests in pursuing university studies and charity work aboard, while he took over some domestic chores and responsibilities of teenage daughters. At this time John also became a Justice of the Peace, but whether that helped in family disputes is debatable. John was by then the National Finance Director for Vodafone, seeing Vodafone through their initial growth spurt as the mobile phone industry gathered momentum, 1993-2000. John was a keen traveller for work and holidays throughout his life; visiting Papua New Guinea, Sri Lanka and South Africa; cycling in Vietnam, Tasmania and New Zealand. He chased the snow around the globe – skiing in the Dolomites, Pyrenees, Sierra Nevada’s, Japan, European Alps, New Zealand and The Rockies. John and Vivienne followed the Rugby World Cup to Europe in 2007, although he supported the Wallabies and Vivienne barracked for the All Blacks. They also spent many holidays in Vivienne’s hometown of Nelson, New Zealand, which became a second home for John. At 63 he undertook a much-anticipated intrepid adventure with an old friend, along the Silk Road from Beijing to Moscow. The following year John sailed across the Tasman, from Sydney to Auckland, part of a three-man crew captained by his mate from high school. John said this was one of the most physically, emotionally and mentally challenging experiences of his life. As well as travelling, on retirement John became involved in Rotary focusing on fundraising for international projects, and was invited to become an independent director for a number of organisations, including pro-bono positions with Viscopy and the NSW Red Cross. In 2000, John brought his financial expertise and pro-active rigour to his work at the Red Cross. His commitment to the humanitarian principles and altruistic ideals of the Red Cross, lead to him being appointed NSW Chairman in 2007 and a Director on the National Red Cross Board. 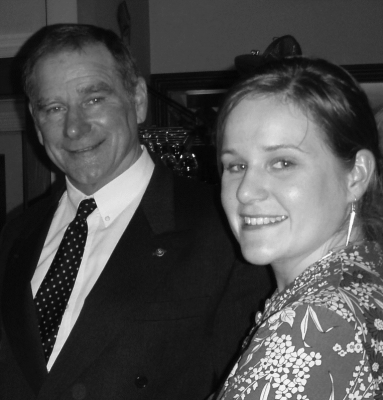 John received a posthumous Red Cross Distinguished Service Award in October 2009. John’s unexpected and tragic death in 2009 deeply affected his family, friends and colleagues. Both NSW Red Cross and Viscopy established annual John Fries memorial awards in 2009. And in 2010, the Rotary Club of Darling Harbour completed their fresh water well project in Nimpith, West Bengal. It was dedicated The John Fries Memorial Well – as John had been pivotal in the fundraising for this project. The John Fries Award for Emerging Visual Artists was jointly initiated by the Viscopy Board and the Fries family, in recognition of the formative influence that John had on the development of Viscopy. John was invited to join the board of Viscopy in 2004 because of his financial expertise and business skills. Although he had always been broadly interested in arts and culture, John’s interest in contemporary visual arts related mostly to his daughter’s art practice. As an accountant with extensive experience in the corporate environment, John’s contributions to the Viscopy board were anchored in his realistic and forward-looking attitude and his empathetic understanding of the financial challenges that face visual artists. The Fries family continues to work with Viscopy in building this award, commemorating John’s generosity and his pragmatic approach to supporting his family, friends and colleagues in developing their skills, exploring opportunities and pursuing their dreams.